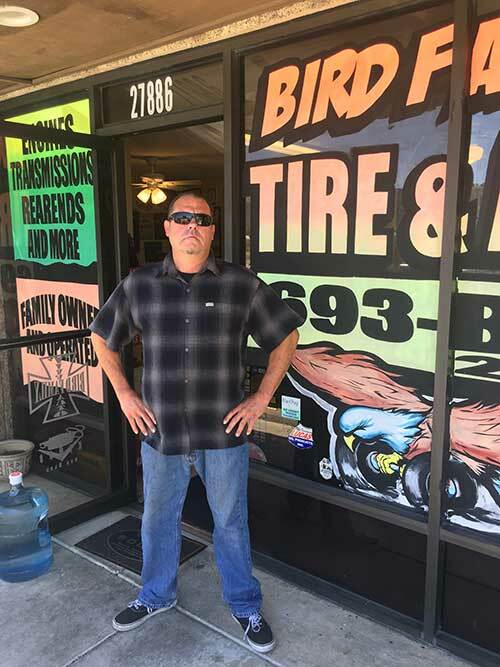 Bird Family Tire & Auto is a premier auto repair shop in Temecula, CA that offers professional oil change services, engine repairs, brake repairs, transmission services, and much more in Temecula, CA and the surrounding areas! Bird Family Tire and Auto works on all makes and models of vehicles. We are a full serivce auto repair and tire shop. We work on a variety of cars and currently have a large customer base that brings their beautiful cars to us for repair. We strive to provide our customers with the best customer service experience possible. We have been offering professional auto repair services in Temecula, CA and the surrounding areas for over 20 years! We want to make sure we always meet or exceed the customers needs. We work tirelessly for our customers and will always give 100%! We are fair, and honest, and believe in quality service and repairs. Our mission is to build relationships with our customers we want them for life!! !